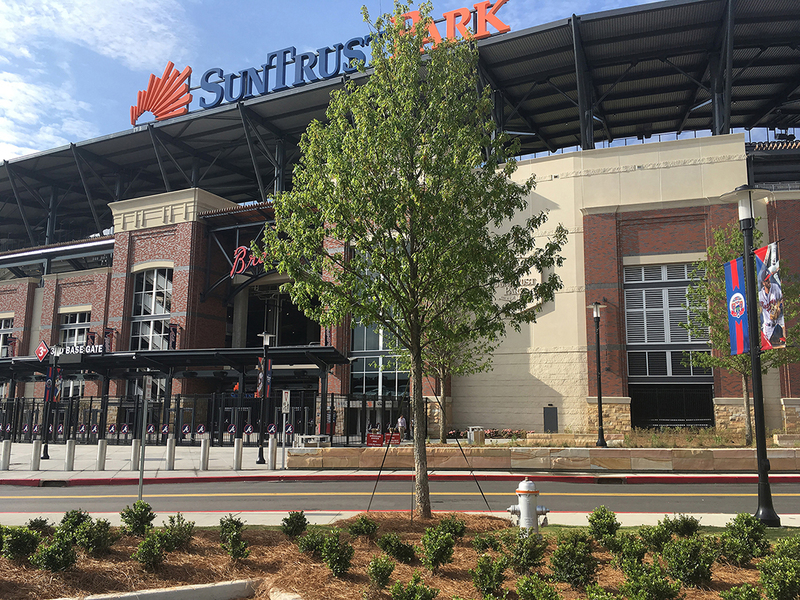 The toughness of AMERICAN ductile iron pipe was put to the test on a recent project that changed a significant portion of the landscape in Cobb County, Georgia: SunTrust Park, the new home of Major League Baseball’s Atlanta Braves. 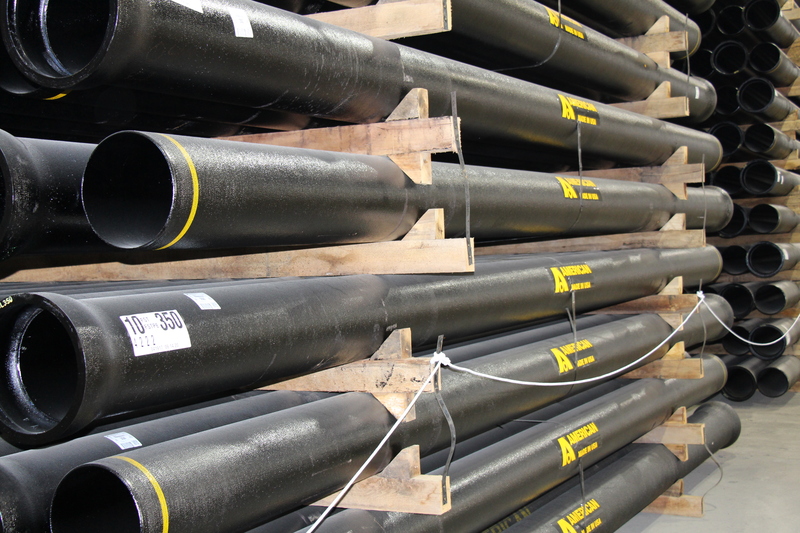 According to David Steffes, vice president of John D. Stephens, Inc., the sewer contractor on the project, AMERICAN’s cement-lined ductile iron pipe performed perfectly in the face of construction challenges. “We feel AMERICAN is right on the cutting edge and have always been pleased working with them. We have a very good relationship and hope to continue that for years.” – David Steffes, vice president of John D. Stephens, Inc.
AMERICAN Flow Control also provided several valves and hydrants for the project. Prominently located around the stadium are 12 American-Darling B-62-B fire hydrants, ensuring dependable fire protection should the need arise, as well as a number of 6- to 12-inch Series 2500 reduced wall ductile iron resilient wedge gate valves. The products were supplied to contractors by Ferguson Waterworks Marietta. 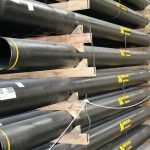 Ferguson’s Ben Corbitt said the 8-inch, 10-inch and 12-inch ductile iron pipe, in addition to being part of the specifications, was a no-brainer for its durable, long-lasting properties – especially for the sewer system. “AMERICAN is a trusted partner that consistently produces a good product. When there’s a problem, they find solutions,” said Corbitt. 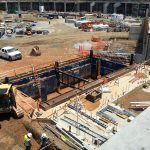 Leading the massive project was American Builders 2017, a joint venture of Brasfield & Gorrie, Mortenson Construction, Barton Malow Company and New South Construction. The construction team and its subcontractors completed the project just 29 months after breaking ground, logging more than 5.6 million man hours in total. The stadium project was designed to create the ultimate fan experience. 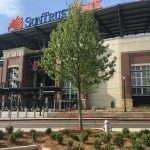 According to Brasfield & Gorrie’s website, the 41,500-seat ballpark features the best sightlines in Major League Baseball, a large canopy for optimal weather protection, a three-level, 6,000-square-foot Chop House, an Xfinity rooftop lounge, and a variety of food and beverage options, including an on-site brew pub. Fans will also enjoy a large shaded plaza with water fountains and an amphitheater. The ballpark flows directly into The Battery Atlanta, a 57-acre, 1.5 million square-foot mixed-use development, featuring boutique shopping, chef-driven restaurants, an Omni Hotel, and the Coca-Cola Roxy Theatre along with residences and the One Ballpark Center office building. 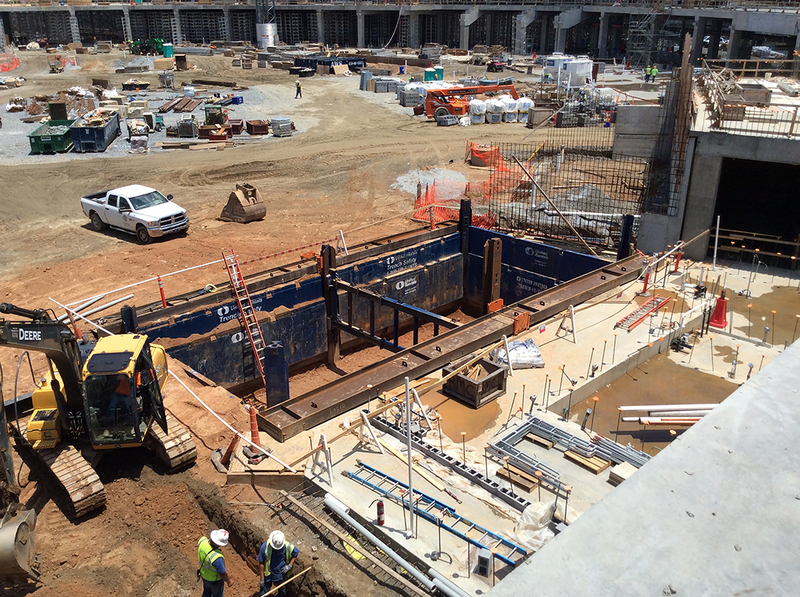 AMERICAN provided almost 13,000 feet of sizes 8-, 10-, and 12-inch diameter ductile iron pipe for the water and sewer lines in and around the new Atlanta Braves stadium. 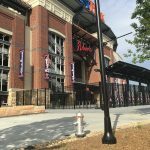 The construction team and its subcontractors completed the Atlanta Braves stadium project just 29 months after breaking ground. 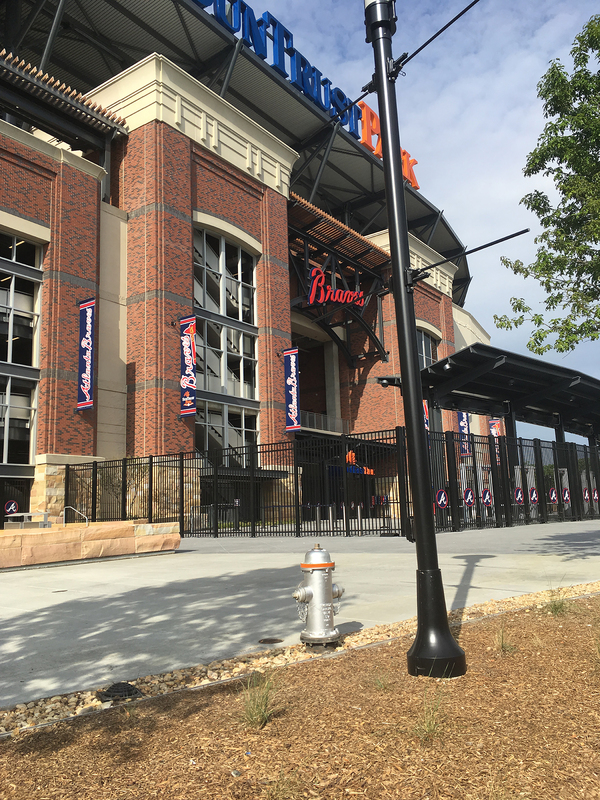 Twelve American Darling B-62-B hydrants were installed around the new Atlanta Braves’ SunTrust Park. AMERICAN Flow Control’s American-Darling B-62-B fire hydrant incorporates more than 100 years of experience in design and manufacture, ensuring dependable and efficient operations when needed.